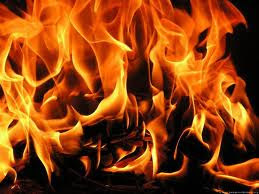 Check out our fun fire facts and enjoy learning a wide range of interesting information about fire. On average in the United States in 2007, someone died in a fire about every 150 minutes, and someone was injured every 30 minutes. 1.6 million fires were reported. 3,430 civilians lost their lives as a result of fire. 80% of deaths as a result of fire occurred in the home. 5 percent of homes with no smoke alarms. completely dark and almost impossible to see around you, making it difficult to find your way. 600 degrees at eye level. Most fire related deaths occur at night, while family members are asleep.